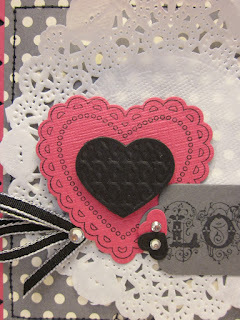 Today, the Pals Paper Arts challenge blog has a new look, and a new format. Each member of the design team gets to choose a Pick! We are excited to make these changes to make the PPA one of the best challenge blogs out there. Are you ready to see what the first challenge of the year is? It is a color challenge, take a look, grab your supplies and head on over to the PPA to link up your creation, we can't wait to see it! There is a lot going on today in the Stampin' Up world, the holiday catalog is finished and the brand new Spring Catalog is live and available for purchase. I know that y'all have been seeing a lot of the new items around blog land lately, but now you can get them for yourself. 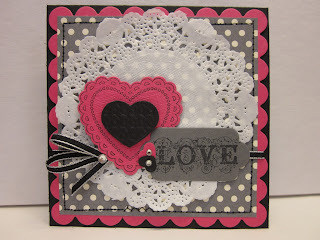 I have featured a few of the new items on today's card. 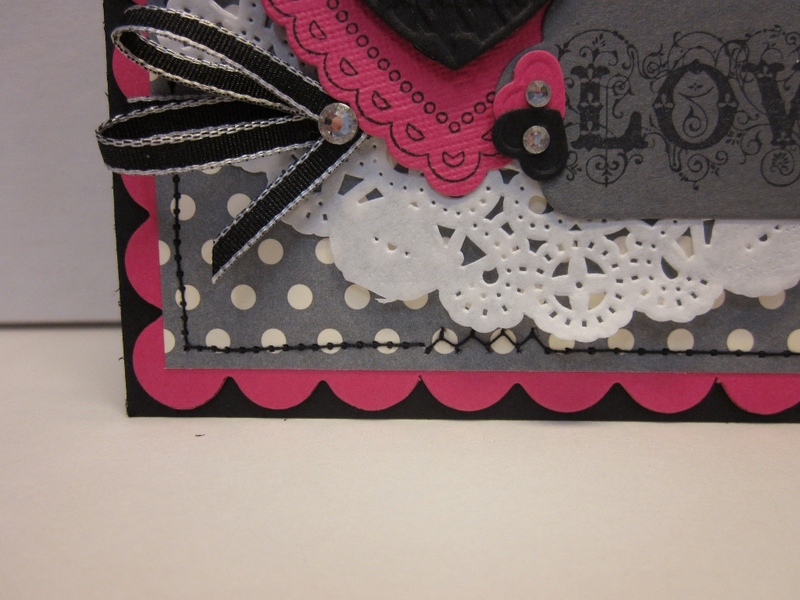 Check out that cutie doily, love them! Also the new Hearts a Flutter bundle, which includes a stamp set and matching framelits! 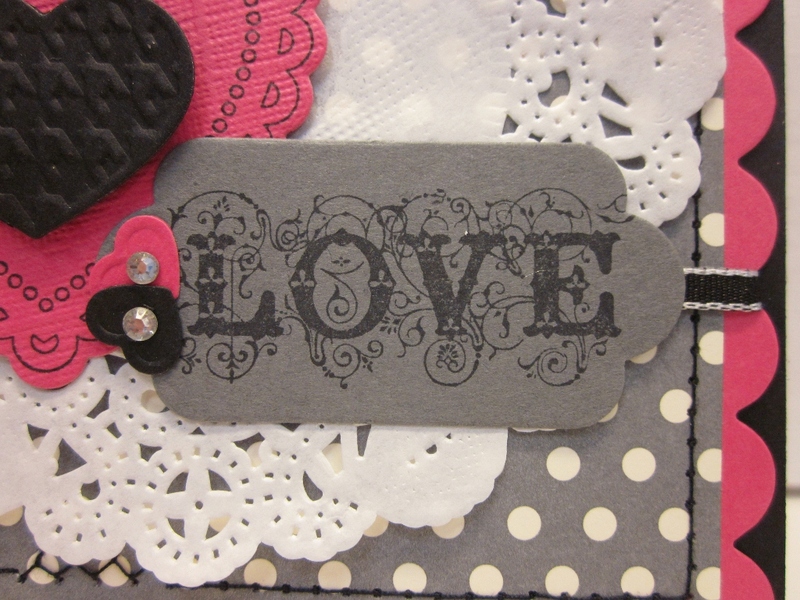 This love stamp is from the Affection Collection stamp set, it was cut out with the new hearts a flutter framelits, I manipulated it to cut the same edge on both sides, for a label look. Some sweet black 1/8 taffeta ribbon works beautifully with these colors. Basic rhinestones add some sparkle! 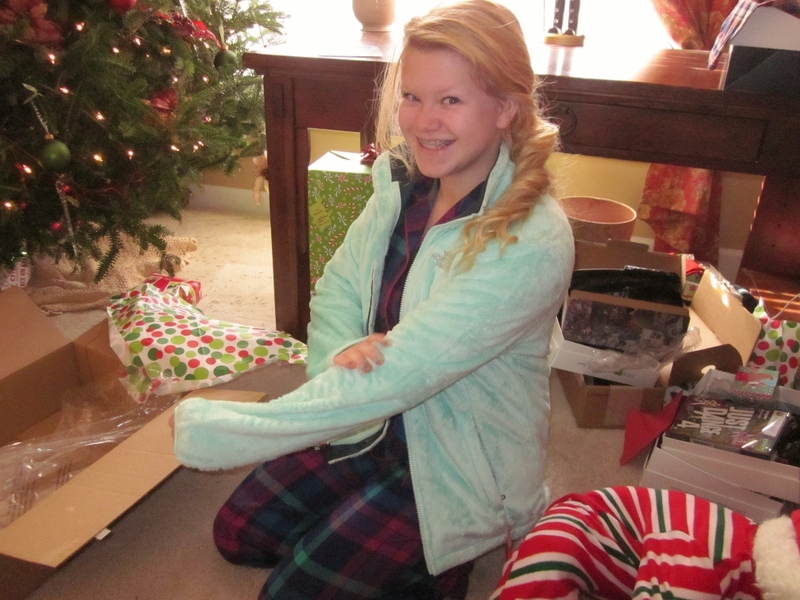 My wonderful family gave me a new sewing machine for Christmas, so I had to break it out and start playing with it. I have been missing sewing on my cards since my mom's old sewing machine gave up last year. 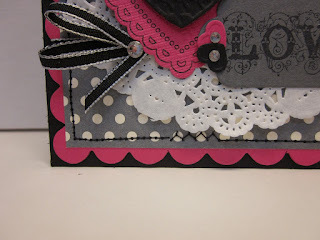 I really love pink and black, when you add the basic gray in, it makes for a very trendy color palette. So striking. 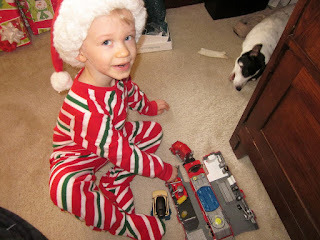 Here are some fun family pictures from Christmas, the kids had a great time, we were able to spend some wonderful quality family time together. Today Mackie heads back to school, so back to our normal routine. I will miss having her home, she is such a great girl. Aw! As Tate gets older they look more and more alike! So beautiful! They must bathe in milk their skin is so gorgeous! Ok, PPA love the new Blog Look! Love it! And your inspiration card is Divine! Such a lovely Valentine!! Gorgeous valentine and use of the little trinkets! You have such a beautiful family. Thanks for sharing! 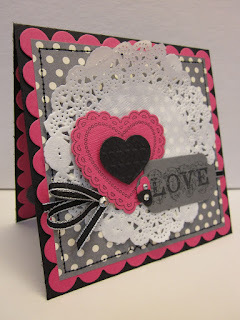 Beautiful card....so fun to see new stuff! 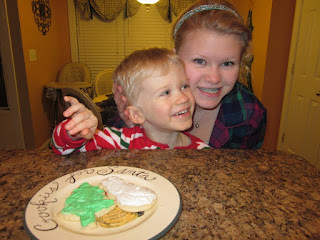 And the kiddos are sweet too! So pretty and I love the sewing detail. 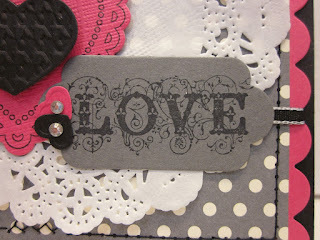 That doily looks lovely too, great peek at the new products. Love the stitching! And that black ribbon is the perfect touch! You have so many terrific elements on this card. 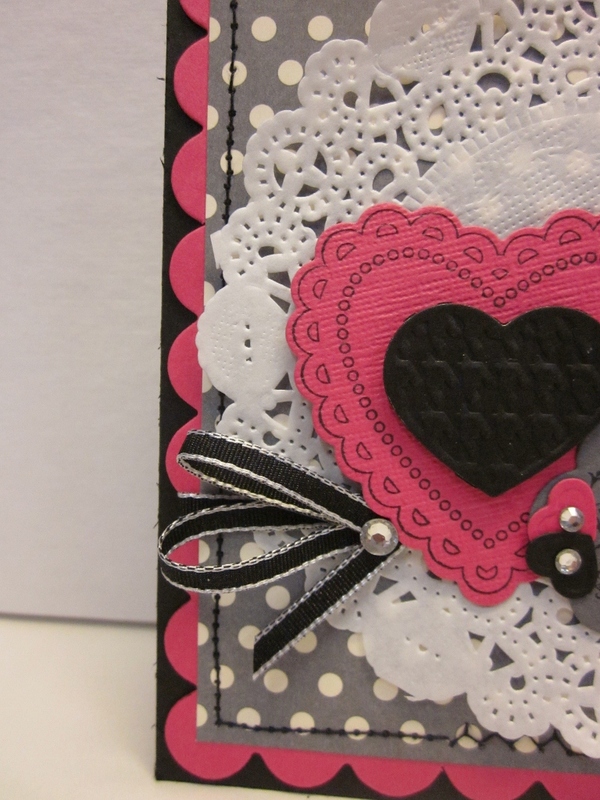 I love the sewing and the polka dot pattern! You did a great job ! Love your card ! So sweet - both your beautiful card and your cute kiddos! Gorgeous, Sandie! I LOVE this vintage/shabby look!